This was the song of the summer for 1989, and is Soul II Soul's best known and most successful single. It was released as the second single from the British R&B band's debut album Club Classics Vol. One on 29th May 1989. The song entered the UK singles chart at No.12 on 4th June, at the same time as Jason Donovan entered the chart at No.1 with "Sealed With A Kiss" and Cliff Richard entered at No.2 with "The Best of Me". "Back To Life" climbed to #3 the following week, with the two aforementioned songs holding the same chart positions. Soul II Soul claimed the No.1 spot on 18th June, where it remained for four weeks. In the U.S., the single reached #4 on the Billboard Hot 100. The single was the follow-up to "Keep On Moving" which had previously reached #5 earlier on in 1989, which featured the silky voice of R&B singer Caron Wheeler on vocals. 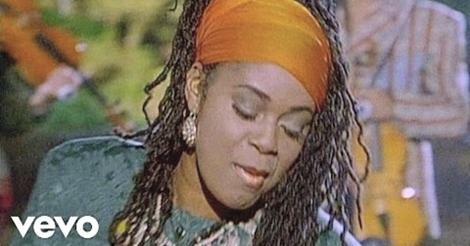 She appears again on "Back to Life", alongside the Reggae Philharmonic Orchestra and Claudia Fontaine, who provides backing vocals - she was previously in the group Afrodiziak alongside Wheeler from 1982 to 1988, and sadly died on March 13th 2018, aged 57. The track was penned by Jazzie B, Caron Wheeler, Nellee Hooper and Simon Law, and produced by Jazzie B and Caron Wheeler. The song features a crossover mix of reggae, hip hop, breakbeats and electronica, although the original album track was actually an A Capella and was heavily remixed for the single release. The UK 7 inch vinyl featured an Instrumental version of the B-side (4:23) which was longer than the A-side at 3:48. The UK 12 inch vinyl featured three tracks; the Club Mix (7:37), Jam On The Groove Mix (5:08) and a new track "Back to the Beats" (4:38). 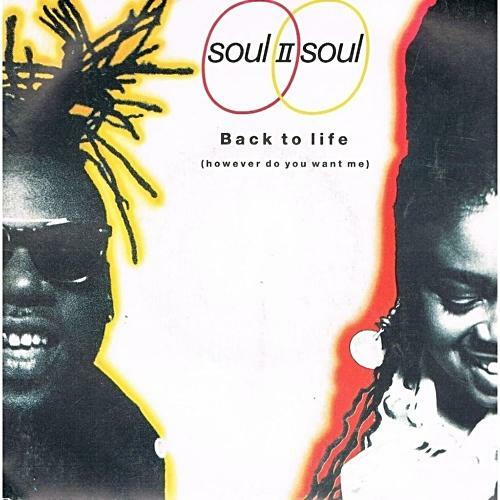 The U.S. Maxi single featured five versions of "Back To Life", which were 12" Mix (7:37), A Capella Intro Version (3:29), LP Version (3:50), Jam & The Groove (5:08) and Bonus Beats (4:38). The video was filmed in Epping Forest on the border of Greater London and Essex, and was directed by Andy Delaney.